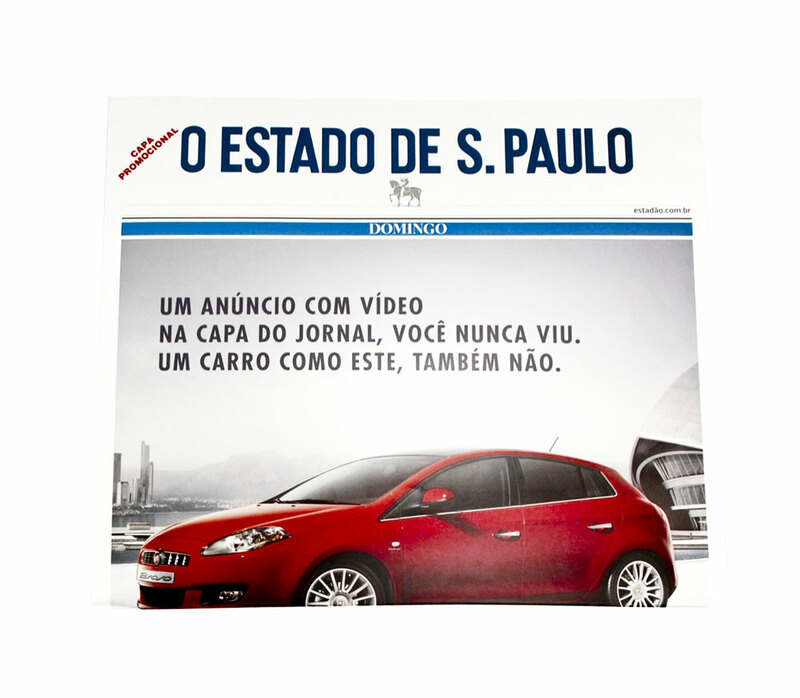 One of the largest and most respected newspapers in Brazil, O Estado de S. Paulo, owned by Grupo Estado, delivers the most current and relevant news across all major topics and industries. The people of Sao Paulo Brazil rely on this trusted publication to stay informed and up to date. 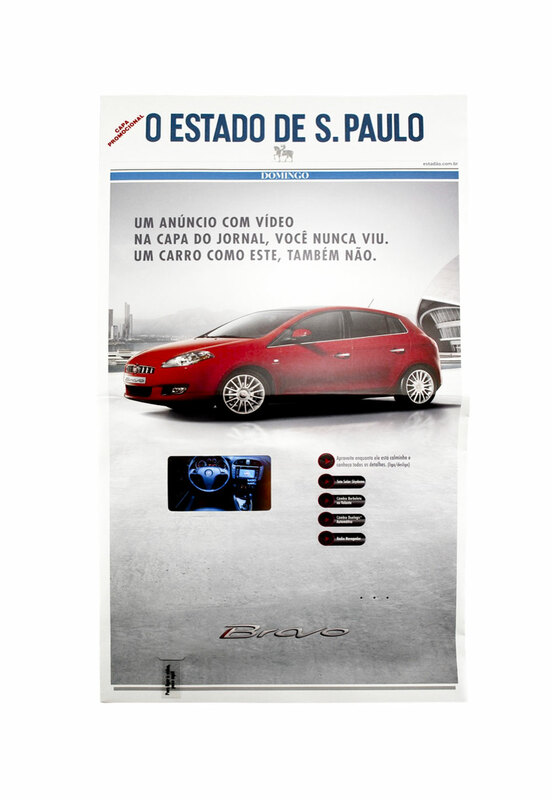 Grupo Estado wanted to deliver a high impact advertising vehicle that would create a stir throughout the media and grab consumers’ attention. 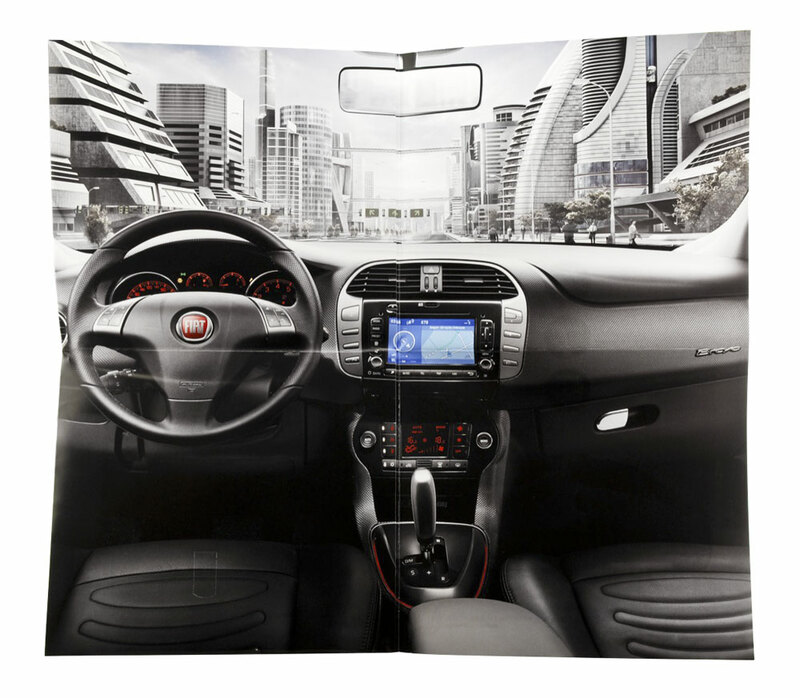 Grupo Estado turned to Americhip’s patented Video in Print technology to promote the automotive brand Fiat. This led to the creation of a first-of-its-kind print advertisement that combined print and digital media in an innovative newspaper cover wrap. 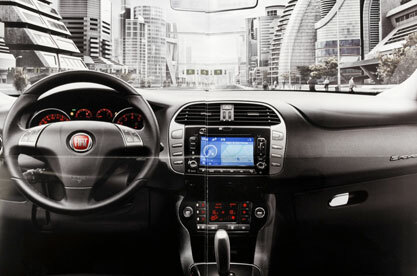 The cover wrap included five unique videos highlighting different features of “Bravo”, the new car by Fiat. With Americhip’s patented 4.3” LCD screen, this advertisement marked the first time in the world that a newspaper incorporated an LCD screen. With many newspapers all over the world facing the same challenges, this interactive advertisement created the high impact buzz this industry so desperately needs. It is becoming increasingly important for advertisers across all mediums to differentiate themselves from competitors. By creating the world’s first Video in Print newspaper, Grupo Estado with the help of Americhip successfully accomplished this feat.